Game of Thrones star Kit Harington recently hosted an SNL (Saturday Night Live) special that pokes fun at The Division 2 and chatty NPCs. Videogames have been receiving prominence in the entertainment industry thanks to games like Fortnite, The Division 2, Call of Duty, and many more. These games, arguably, have become pop culture icons with different celebrities not only playing them but also discussing them. But it seems SNL is more in tune with gaming culture which is apparent from its latest comedy sketch. The sketch pokes fun at chatty NPCs and how annoying they can be. It features Pete Davidson who puts on a headset and dives right into a game demo. The thing to notice straightaway is HUD that seems to be ripped straight out of The Division 2. Kit Harington appears as an NPC in the SNL special that doesn’t stop talking. The sketch almost parodies his own role in Call of Duty: Infinite Warfare which had extensive lines of dialogue. Of course, SNL has been parodying the latest trends for generations now. They’re not strangers to doing sketches based around games before. Earlier this season, the show also featured a sketch based around the hit battle royale game Fortnite. We also got to see the Matt the Technician, a character from SNL make his way from the show into the videogame universe as a player character mod for Kylo Ren in Star Wars Battlefront II. Ubisoft got in on the joke and Tweeted the video, almost poking fun at their own game The Division 2, which recently received the 1.05 “Tidal Basin” update. 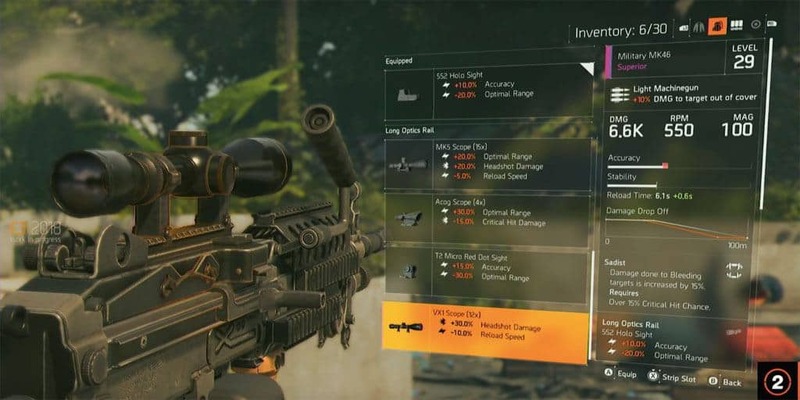 Although Massive Entertainment has currently disabled daily and weekly projects/missions due to a bug, you can still play The Division 2 Xbox One, PC and Sony’s PlayStation 4.